Ecamm recently released Call Recorder for FaceTime and I’m pretty excited. I use Call Recorder to record every episode of MicroBrewr Podcast. Normally I record the calls on Skype, but now they also have the software for FaceTime. This post explains how to use the software (Ecamm Call Recorder tutorial). And there’s a chance to win Call Recorder for FaceTime for FREE! So read all the way to end, to find out how to get your chance to win. Call Recorder works with both video calls and audio calls. Video calling is so much more personal than telephoning by just voice. I really like being able to see someone’s face while I’m talking to them. 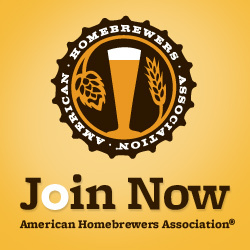 When I was developing a business plan for my dream brewery, my partners and I had weekly video calls. Some of the partners were referred by my friend, I had never met them in-person. So seeing their face really helped build rapport. Sometimes I use the FaceTime audio feature for voice-only calls. I don’t understand all the technical stuff, but there’s way better sound quality from digital calls via an online service like Skype or FaceTime, compared to standard calls by cell phone or even landline. It doesn’t use minutes on my phone. It has better sound quality than a cell phone call. I can record it onto my computer. I’ve done every episode that way, except for one when I talked with Mark Carpenter in-person at Anchor Brewing. For that one, I used Voice Memos on my iPhone. I’m searching for the perfect setup to record in the field, but I still record all the other episodes with Call Recorder for Skype. 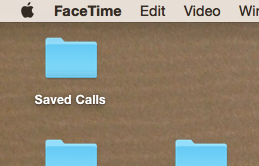 And now Call Recorder for FaceTime gives me more options. Plus, I’m an Apple fan, so I’ll be looking for excuses to use FaceTime more often. 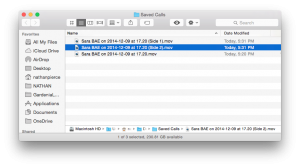 Here’s the only Ecamm Call Recorder tutorial you’ll ever need—it’s so simple. After you purchase and install the software, it’s automatically tacked onto Skype or FaceTime, sort of like a plugin. 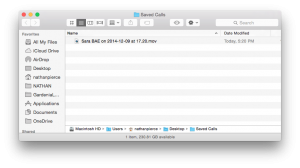 So anytime you open the calling software, Call Recorder also opens. There’s a separate window with a record button. And that’s it. It’s so simple. I love it! I can’t remember how I did it the first time. I think there were prompts. Anytime, though, you can go to the little “Call Recorder” window and click the “Settings” icon. Inside “Call Recorder for FaceTime Settings,” check the box next to “Create Separate Audio Tracks.” This is especially important for podcasting so you can record your voice and your interviewee’s voice onto separate tracks. That will give you greater flexibility in post-production editing. While you’re still in Settings, go to “Save Recordings To,” and pick where you want the calls saved. 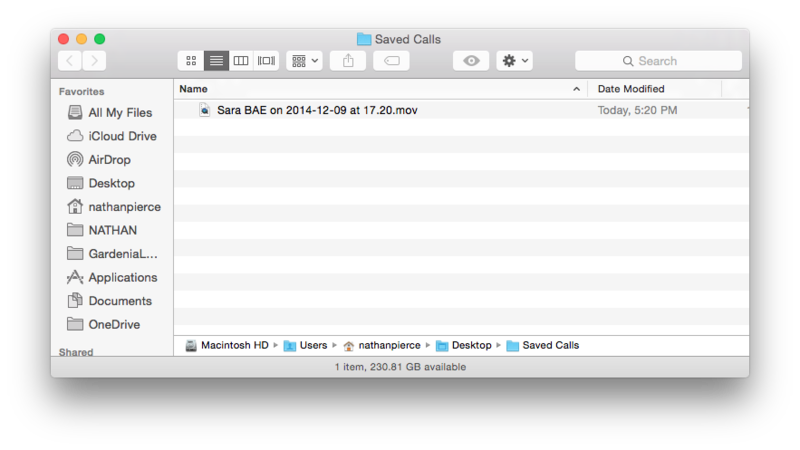 Anytime during a FaceTime call you can go down to the Call Recorder window and click the round Record/Stop button. Record the call as long as you want. When you click stop, it automatically saves a .mov file into the “Saved Calls” folder (wherever you selected in Settings). 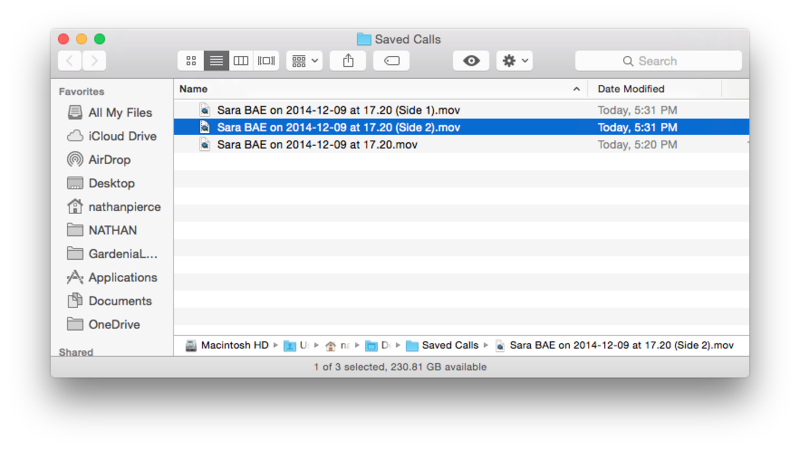 The filename identifies the contact you were talking with and the time of the call. You can record FaceTime video calls or FaceTime audio calls. And now with Yosemite and iOS 8, you can even record calls through your iPhone, onto your computer. The person you’re talking to doesn’t need to have an Apple device! 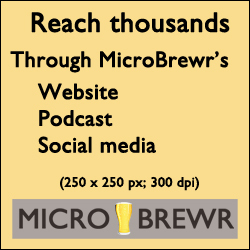 I recorded just the audio call because that’s what I do for MicroBrewr Podcast. 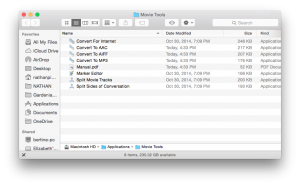 This .mov is a QuickTime file. But Call Recorder comes with super easy software to convert it to AAC, AIFF or MP3. Before we convert the file, lets split it into 2 tracks. The original file has both sides of the conversation, but we want to split it into 2 separate tracks, one with each side of the conversation. Call Recorder also comes with super easy software to do this too. 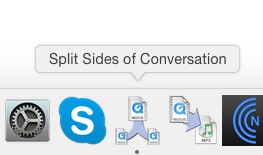 Click on the .mov file, drag it onto “Split Sides of the Conversation,” and let go. Now you have 2 new .mov files in the same folder as the original. One track has your voice, the other track has the voice of the other caller. Now let’s convert the file to a different format. I do podcasting, so MP3 is what I work with. 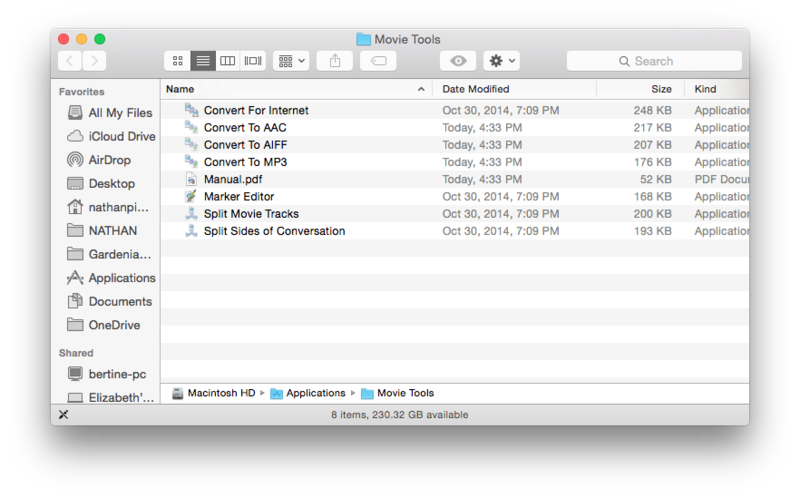 To convert the .mov files to .mp3s, just click on one file, drag it over “Convert to MP3,” and let go. Do the same thing again for the other file. Now you also have 2 MP3s. The original .mov with both sides of the conversation. A new .mov with your voice. A new .mov with your caller’s voice. An .mp3 with your voice. An .mp3 with your caller’s voice. Move them to wherever you want to store them on your hard drive. It’s that easy! It seems like a lot when the steps are written out like this, but it’s not. Do it once and you got it. Do it twice and it comes naturally. And if you do this a lot, say for a weekly podcast about starting a brewery, it really helps to have those other aps in the dock. Now I have a question for you: What will you use Call Recorder for FaceTime for? Win Call Recorder for FREE! 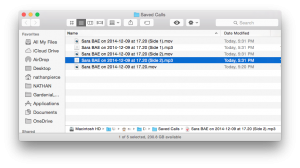 The folks at Ecamm are so cool, they agreed to give us one free copy of Call Recorder for FaceTime. It normally sells for $29.95, but you can get it for FREE! Click on this link and check out Call Recorder for FaceTime. Or click on this link and check out Call Recorder for Skype. Then, in the comments section below, tell me how you will use Call Recorder. Is it for work? For personal use? Who will you call? Where will you call from? Where is the person you’re calling? Paint a picture and give me a good (short) story. I’ll pick one winner on January 8, 2015. And Ecamm will give you Call Recorder for FaceTime FOR FREE. UPDATE: P.S. They’re running a special for Christmas: Buy both versions (for Skype and FaceTime) and save $15! I don’t know how long the special will last. If you can’t wait until the results of the this contest, click either one of the links above, scroll to the bottom, and check out the combo deal. UPDATE: The contest winner was selected. Yay! Check out the comments below to see the entries and the winner. Thanks to everyone who entered, it makes this more fun.